Bosconero permit is on the western edge of the Po Valley, in the areas where the Apennine and Alpine thrusts converge. 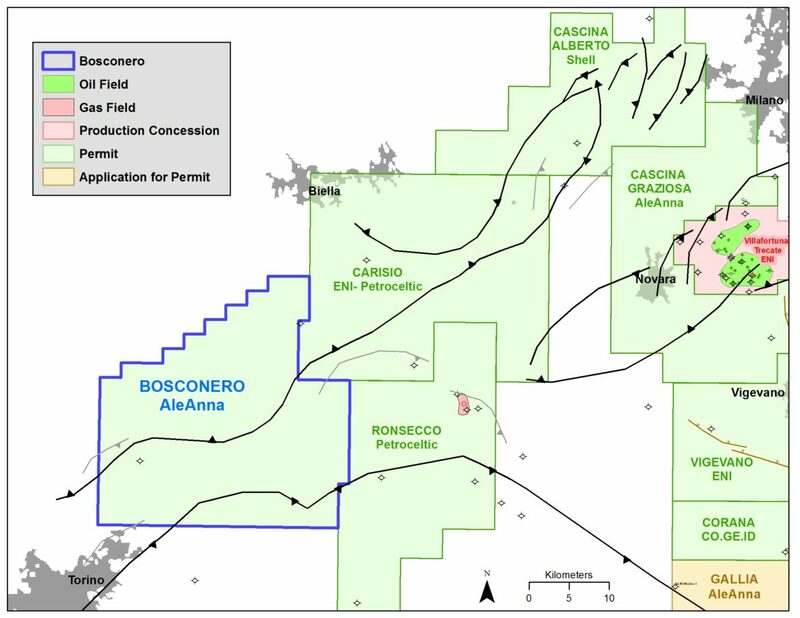 Seven 2D seismic lines were reprocessed by ENEL for interpretation. The Triassic oil play which produces at Villafortuna-Trecate Field 50 km NE may be present in a NE-SW trend to the west and includes Bosconero. Offset operators Shell, Petroceltic and ENI have mapped Mesozoic leads in this trend. A secondary play is Upper-Middle Miocene sands in stratigraphic traps. 3D seismic is needed to further evaluate the potential.